We’re getting ready for Valentine’s Day with our kids and have a few easy projects for you over the next couple weeks! 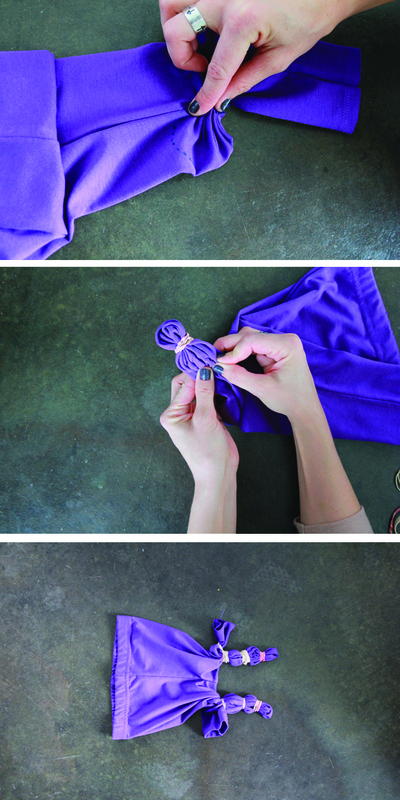 Since we had never seen this idea done before, we called upon our friend and tie-dye expert, Kylie for some back up! She shares her super cool upcycling and refashioning projects via her Instagram @warpaintweekend. Kylie figured out an awesome technique, and here’s how you can get your own heart shaped tie-dye leggings just in time for V-Day. Cotton leggings (all the ones we’ve used are $3.88 at Wal-Mart! 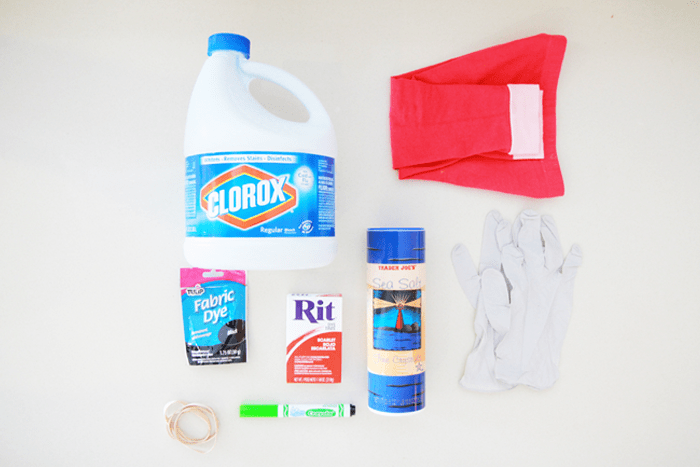 ), rubber bands, a washable marker, gloves, and bleach or dye depending on the look you’re going for. Take the leggings and take them from their normal hip-to-hip fold, and fold them front to back so the fold goes right through the center of the knee. Now that there is a fold down the center of the knee draw half a heart dotted line going outward. Now that you have your half heart in a dotted line, grab the fabric at the dots and gather it together like an accordion. Once you’ve scrunched the whole half heart rubber band it at the base. Wrap it as tight as you can so the dye and bleach don’t leak through. Two get the illusion of concentric hearts going outward from the knee rubber band the design all the way up the leg stopping at the thighs. Rubber band as often or as few as you’d like! Step Five: Now your leggings are ready to be bleached or dyed! For these pairs we are showing the bleaching technique, which is great for darker hued leggings. If you have white leggings, Rit dye will do the job perfectly! Step Six: Put a cup of bleach into a high walled pot, or sink. Saturate the leggings to the desired effect and let it sit. 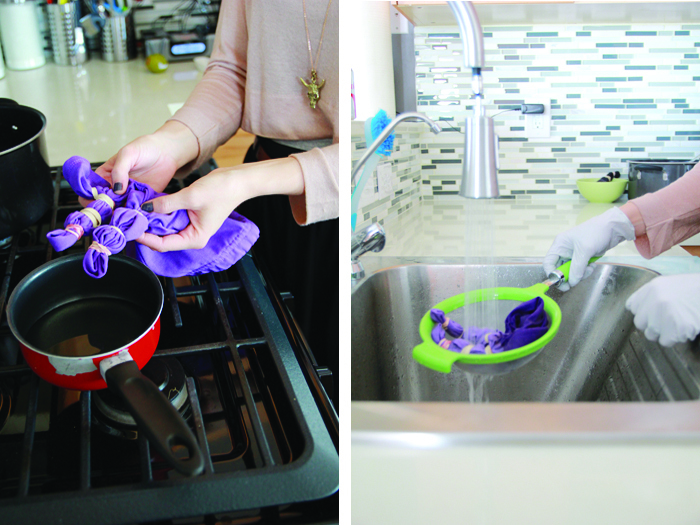 Once they look the right shade, using rubber gloves, rinse them out in the sink. They’ll need to dry so we set them on top of a cookie cooling rack over a regular sheet pan to catch any bleach drippings. Step Seven: Once they’re rinsed and dry, you can wash and dry them sink just like normal. You should have an awesome tie-dy heart effect! 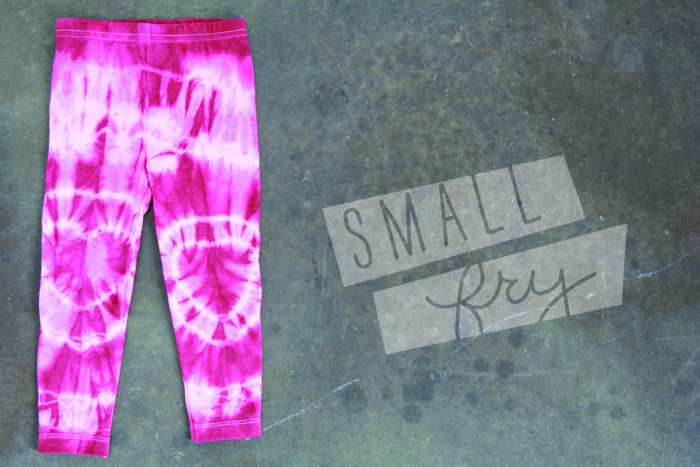 As always, if you do a Small Fry project we want to see your results! 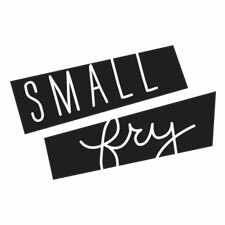 Post them to our Facebook page, or use the #smallfrythreads hash tag and mention (@smallfryblog) so we can see your awesome results via Twitter or Instagram. Copelin is wearing Freshly Picked moccasins, American Apparel tee, and Gap sweater. hours in the daylight, as i love to gain knowledge of more and more.